If you are like 50% of the people I talk to your first question probably is: What's an E-bike? Electric bikes are slowly creeping into North America along with a growing electric scooter selection. E-bike is short for electric bike. You may not realize it, but the demand for Electric bikes and Electric scooters has been growing globally in the last number of years, and newer models are becoming more sophisticated. Already popular in China and Japan the E-bike and E-scooter trend also has been growing in Europe. In North America, they are also becoming more popular. You may have already seen one and did not know it. Many E-bikes looks like a regular bike if you don't look closely and scooters look like mopeds but without the noise or fumes. Both the electric bike and electric scooter are great transportation alternatives and can be used as a daily commuter. A scooter or E-bike can get you to work with no sweat. A great destresser when driving to work, instead of the frustration of sitting in a car going nowhere. An E-bike or E- scooter is also great for older people to get around and for people with other health issues that make it difficult to ride a standard bike. In this post, E-bike vs Electric scooter: Which is best for daily commuting? 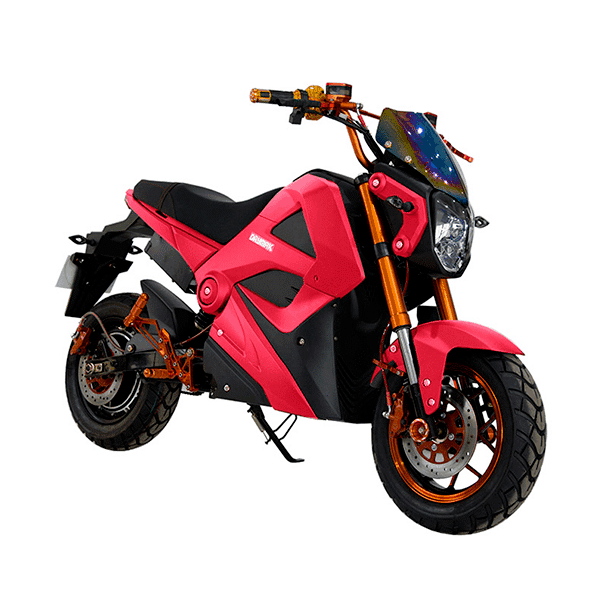 I will compare the E-scooter with the E-bike and try to help you decide which style would best suit your needs. 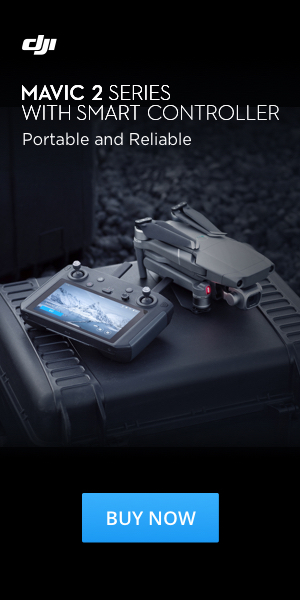 The big game changer in recent years is the batteries. Now they are much lighter and can go further on a single charge. This makes electric vehicles ideal for shorter city commuting. Although still quite expensive battery prices will most likely be coming down in the next few years as demand increases and more competition enters the market. 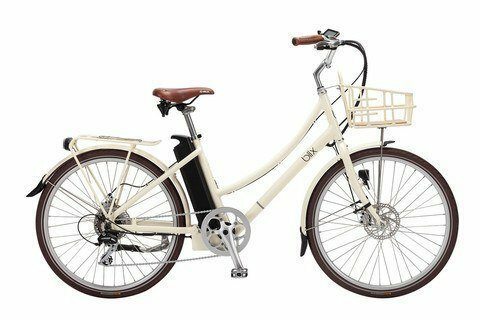 What's an E-bike or Electric Bike? A new trend in the last ten years is the resurgence of the electric bike or E-bike. This type of bike looks like a conventional bike but has a motor mounted in one of three locations. Rear hub motor, centre hub motor or front hub motor. The new versions of e-bikes allow you the option of throttle control or pedal assistance, and if you run out of power, you can still pedal home with no big problem, unlike a scooter. Like a conventional motorbike, you twist or squeeze the throttle on the handle, and off you go. No physical effort is required you sit and ride. Pedal assist is just that it is a little boost when you pedal. It is necessary to peddle to get the bike moving and to maintain speed. A moderate physical effort is required to ride this bike depending on the level of assistance you use. 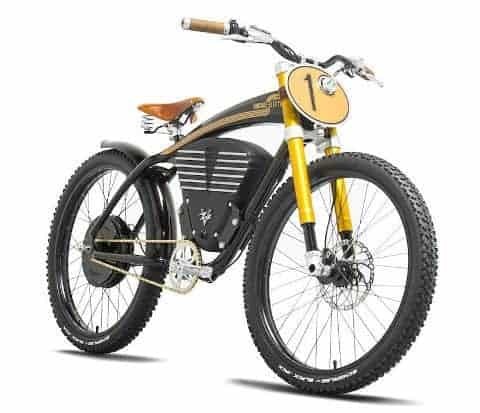 Some E-bikes can look like a regular bike with a simple battery pack, and there are also some vintage styles that look really cool, but come at a price. There are also electric mountain bikes available with fat tires, full suspension and more power that are great for trail riding. Some of the off-road models with more powerful motors exceed transport regulations require licensing and insurance to drive on the road. But if you keep them off-road, you are okay. Prices can vary widely, for example, one E-bike above is $1899 and one on the right is $10,450. 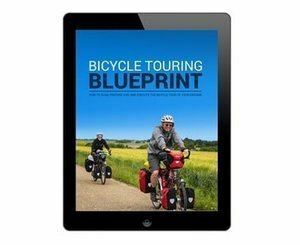 There are more bikes every year that being priced below $2000. E-Bikes for under $2000. Voltbike from Canada offers most of their bikes for under $200, and the Yukon 750 Limited Edition is a great example. See my full review post or check out my Youtube Video review. The gas powered scooter has been around for many years. The Vespa from Italy put the moped on the map and gave it a very romantic carefree feel. I recall in the 80s riding on my friends Honda Moped around Los Angeles going to different parties, concerts and adventures. Good times. Fast forward to today, and the newer version of moped is now an electric vehicle. Many are classified as an E-bike scooter. They go slower, under 25 mph, have pedals and require no licensing or registration to operate on city streets. The pedals on a scooter are there more for regulations then function. To use the pedals on a scooter is not great. Here are a few variations on what people call an electric scooter. E-scooters are throttle controlled and do-not require pedaling when riding. When using the term scooter there can be a little confusion. There are a number of vehicles that can be called a scooter. In this post I will be comparing the last two styles of E-scooters on this list. This type of scooter is what many people are familiar with when using the term scooter. This style of scooter has been around for a long time, and many kids have grown up scooting around their neighbourhood. The original versions had no power and required pushing with one leg. But crazy do it DIYers have been mounting gas powered motors to scooters for fun and only in the last twenty years have companies been selling scooters with motors. With large companies now making scooters the transition from gas-powered to electric made a lot of sense. 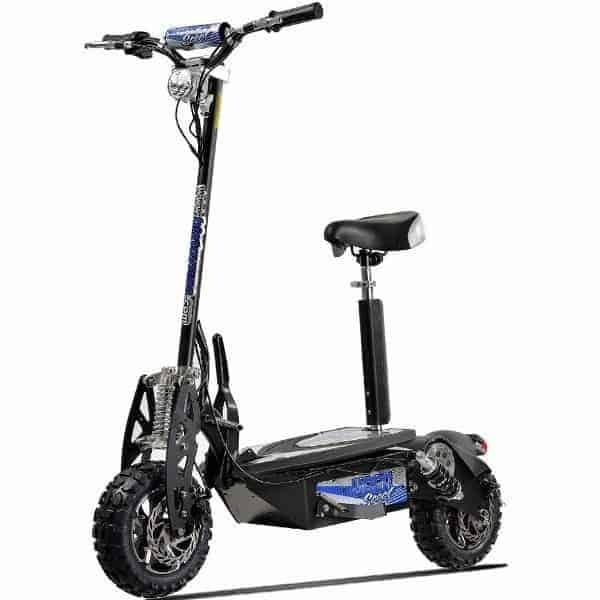 This type of scooter is the least expensive and most portable E-Scooter to choose from. A scooter does require balance and a bit of a kid spirit to use this as a daily commuter. But many people that are doing just that. This version of a scooter is a step up from the basic scooter and has a seat to sit on. Again inspired by DIYers that came up with this design years ago out of necessity for a cheap ride. This type of scooter is a barebone ride that is very portable and is great to augment to your commute to work. It can be taken on trains and busses and easily stored inside. The basic E-scooter with a seat is a little more expensive than the basic E-scooter. This type of scooter has been around for many years and in fact, lead the way in electric scooters. This type of scooter has always relied on electricity as using gas power would not be practical indoors due to excess noise and fumes. This type of electric scooter came first because there is lots of room to store batteries. This also makes this type of scooter very heavy. You probably have encountered this type of vehicle on sidewalks and in malls. You may even have also been almost run over by an aggressive handicapped person at some point. This style of scooter also has been around for years, but they use to be called mopeds and ran on gas and now are often called E-Scooters. The word moped was coined by the Swedish journalist Harald Nielsen in 1952, as a portmanteau of the Swedish words "motor" and "pedaler". The electric scooter if they go under 25 miles per hour do-not require licence and insurance. This is somewhat of a new style for electric scooters this style bike looks like a small version of the gas-powered racing motorbikes you see racing around making a lot of noise. The problem with this style scooter is it blurs the line between motorbike and E-bike. They are being made to go faster by manufactures and DIYers then regulations allow and at a certain point our government will solve that by requiring everybody must have a licence and insurance to use on city streets. Why get an electric scooter or E-bike in the first place? There are a number of advantages compared to gas-powered vehicles. The main one is the overall running cost of electric vehicles is generally less than gas-powered vehicles. A 50 km ride will cost about 5 cents in electricity and cost about a dollar's worth of gas with a scooter. A serge of new electric scooters has been introduced in the last year. A few new companies in US have introduced scooter sharing programs in their cities. So far reaction has been mixed, in fact San Fransisco and New York cities have put a cease and desist on the scooter sharing programs that launched earlier this year. Many issues are that rider use sidewalks and go to fast. Do not were helmets and do not generally obey many traffic laws. E-bike vs Electric scooters: Which is best for daily commuting ? In general the initial purchase price of many E-bikes on the market can often be more expensive than many E-scooters. Many electric scooters are in the $1500 to $3000 range. E-bikes can start under $1000 and quickly go up to $3000 or $4000. But this is changing and E-bikes price will come down in the next few years as E-bikes become more popular and more quality models will be available for around $1500. Maintenance on an E-bike is a little easier than working on an E-scooter. Running cost is about the same but you will get a further range on an E-bike because you are adding to the power by pedaling. You will probably be talking to the police more when riding an E-scooters. In some areas, scooters are classified as a motor vehicle and require licensing and insurance. E-scooters can be confused as a moped, or a motorbike and police will give you more problems. Part of the problem is there are a few E-scooter and E-bike riders that have no regard for anyone. They often disregard traffic signals go to fast on sidewalks and are a hazard for pedestrian and cars. On an E-bike if you are pedaling your bike and maintaining a reasonable speed you do not stand out like a scooter. Gas powered scooters have been in the past generally faster than E-scooters, but with newer powerful electric motors and lighter batteries, this is no longer the case. You can purchase a fast E-scooter, but there is a tradeoff. Along with more speed comes more regulations and insurance. Comparing E-bike to E-scooter speed is comparable. Top speed should be governed to meet local transport regulations. Speed can be a gray area because it is pretty easy to adjust the limiter or remove it to make your E-bike or Scooter go faster. Do this at your own risk of serious fines. Here is an interesting video comparing a daily commute with various scooters and an E-bike. Both are winners here. Replacing gas with electric power is a really good thing. Gas powered scooters are notorious for producing fumes especially poorly maintained scooters. In fact, China and Japan have significantly reduced their smog problem buy switching to electric bikes. I personal think an E-bike is safer than an E-scooter because you sit higher up and are more visible to other vehicles. E-scooters I think take the lead at night because generally E-scooters have more built in lights and also have indictor lights for safer night driving in traffic. Both are winners here. The motor is almost silent and all you will hear is your tires on the road. This has reduced noise pollution in Japan. Now if they could just do something about the beeping horns. Both have strengths and weaknesses depending on where you live and your lifestyle. An electric E-bike or electric scooter can be very convenient because you require no trip to the gas station. You can simply plug an electric vehicle into any AC outlet to charge. This is convenient but it does take time. It takes about 3 to 5 hours charge time for a dead battery to be fully charged. Whereas a gas powered scooter you just squeeze some gas in and you are good to go. But cities like Toronto are removing gas stations from there downtown core so getting fuel will be more of an issue if you live and ride downtown. General maintenance on an E-scooter is much less than a gas powered scooter. There are no gas fumes, no oil changes and tune ups required. You will still have to preform regular brake adjustments and general maintenance but overall it is easier and cleaner. A plus for the E-bike is you can always get to your destination regardless if the battery dies. With a dead E-bike you can still peddle if your battery dies. But with a dead scooter you are most likely pushing. You can use the pedals on a scooter but you will not go far. Peddles on scooters as mention are on for regulation purposes and are really not ideal to use. Moving a E-bike is easier to move then an E-Scooter. I think the E-bike wins for usability and overall convenience. Most people that can ride a bike will love an E-bike whereas a E-scooter can feel a little awkward. I think for older people a small E-bike is better than a E-scooter. The lighter weight and familiar feel make it a safer ride. Which will last longer ? A gas powered scooter often will last longer than an Electric scooter because generally, the quality of the gas powered scooter is better, hence the higher price. A gas power scooter has more smaller inexpensive components that can easily be replaced or repaired. 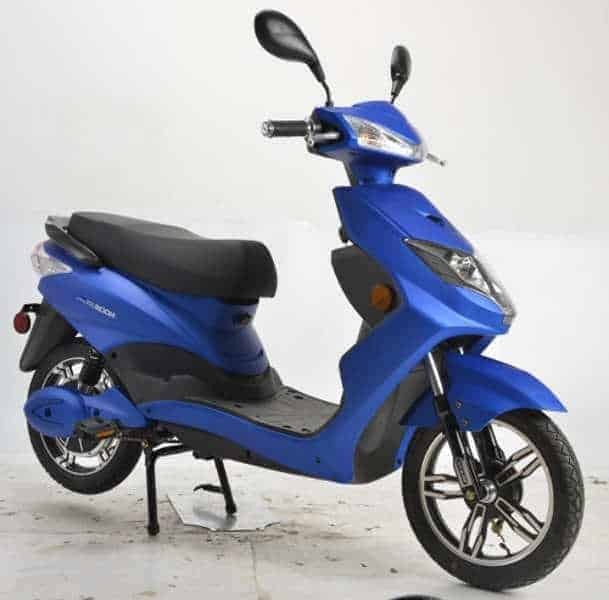 Whereas an Electric scooter has major components that will fail and generally need replacing and cannot be repaired. Major parts like Electric motor and battery can be very costly. The E-bike I think will last longer because it is easier to change and upgrade parts as opposed to an E-scooter that can be a little more difficult to work on and not as versatile. Getting your E-bike or scooter stolen can unfortunately be a reality if you are not careful. I think the average scooter wins in this category. 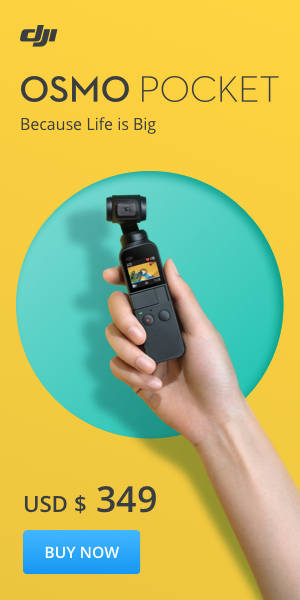 Since the scooter has been around for longer, I think the it is harder to steal because they are heavier and more awkward to move also many models have onboard locks, GPS tracking and alarm apps that connect to your phone. An e-bike is light and can be easily carried away. They have many open components like batteries and quick release tires that can be easily stolen despite being locked up. I think this is an area that will see some improvements over the coming years. But unfortunately thieves will always be ahead of the game if they want your bike. 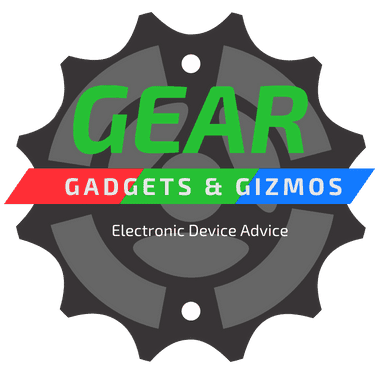 Here is a video and some info on how to properly lock up your E-bike. Locking things up. The E-bike is the winner here. With a scooter you pretty much just sit on and ride, whereas a E-bike requires peddling. You can decide the amount of effort you want to put in when riding. Many people say E-bikes are cheating but the fact is people with E-bikes go out further and more often so in the long run an E-bike can even be more effective than an conventional bike that you barely use. See chart on calories burned getting to work. The nice part about electric vehicles is that there is no gas smell and bringing them indoors is less dangerous than a gas powered scooter. You can tuck your bike away in the corner with no gas smells. Here is where the E-bike takes a lead they are easier to move around and get on an elevator. Many commuter E-bikes have a folding bike option available. This makes it much easier to store inside or in the trunk of a car. A scooter is much harder to push and manoeuvre through doors than an E-bike. You can carry an E-bike up stairs. They are heavy but it is still possible. E-bikes generally can weigh from 40 to 70 lbs whereas an electric scooter can weigh upwards of 250 lbs so bring up a scooter up stairs is not practical. Bringing a scooter inside may get you more dirty looks because many people will think it is a gas powered scooter. An E-scooter is a much bigger vehicle than an E-bike and can take up more space. Transporting an E-bike is also much easier than a Scooter. You can put an E-bike on a bike rack on the back of your car to transport it to another location. A good quality bike rack is needed because an E-bike weighs more than your average bike. So which is better the E-bike or the E-scooter? The E-bike is more vulnerable to theft than the E-scooter because it is much lighter, but this allows you to bring it inside easily, and this can significantly reduce theft if you can park it indoors. I like the convenience of an E-bike that it can easily be moved indoors and upstairs. As for the ride I personally lean towards the E-bike, it feels more natural to me and I like that I am getting some exercise. I also like the fact that I can easily upgrade components on an E-bike and it is easier to work on. The bonus is you can always get to your destination on an E-bike even if you run out of power. A surge of new electric vehicles has been introduced in the last few years and now is an excellent time for electric vehicles. With change always comes resistance and that is the same as the E-bike or E-scooter. A few new companies in the US have introduced scooter/E-bike sharing programs in their cities. So far the reaction has been mixed, in fact, San Francisco and New York cities have put a cease and desist on the scooter sharing programs that launched earlier this year and in New York they have band the E-bike. The problem is that since this classification of a vehicle is unregulated people talk advantage of this and have no consideration for others. Many issues are that rider use sidewalk and go to fast almost hitting pedestrians, and they do not wear helmets and do not generally obey many traffic laws. I am sure more regulations are on the horizon as E-bikes and scooters become more popular and more people ride electric vehicles. Be sure before you purchase anything, check that it is ok to drive it on the roads in your area.